Charlie Austin misses out with a twisted knee, but Steven Davis is available for selection once again. Other than that, there are no other injury concerns. PREDICTED XI: Forster; Cédric, Fonte, Van Dijk, Bertrand; Wanyama; Clasie, S. Davis; Mané; Pellè, Long. GOALS: Lukaku - 22' and 45', Barkley - 84'. SOUTHAMPTON: Stekelenburg; Cédric, Fonte, Yoshida, Targett; S. Davis (Ward-Prowse - 79'), Wanyama; Long (Rodriguez - 72'), Mané, Tadić (Romeu - 45'); Pellè. Unused Subs: Gazzaniga, Martina, Reed, Juanmi. EVERTON: Howard; Coleman, Stones, Jagielka, Galloway (Browning - 88'); Barry; McCarthy, Cleverley; Barkley; Koné (Naismith - 80'), Lukaku (Deulofeu - 89'). Unused Subs: Robles, Besic, Osman, Mirallas. Romelu Lukaku struck twice as Everton humbled Southampton and recorded their first win at St. Mary's in a decade. Sadio Mané threatened to break the deadlock for Saints in the 20th minute, but the Senegalese forward saw his effort turned away by Tim Howard in the Everton goal. Lukaku gave the Toffees the lead midway through the first half, when he rose to head home past Maarten Stekelenburg. The Belgian frontman continued to take advantage of the Saints backline when he combined with Ross Barkley on the counter, sending a low effort past Stekelenburg and into the net on the brink of half-time. 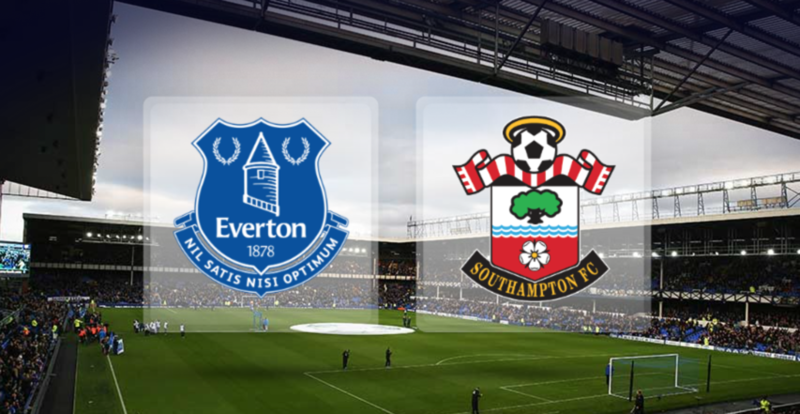 Saints struggled to create many inviting opportunities, with Everton eventually killing the game off with just six minutes of regulation time remaining. After charging in on goal, Barkley turned from provider to scorer, as he curled an effort into the goal to secure the three points for the Merseyside club.